The dust has now settled from the ordination of 17 men to the diaconate last June. With the addition of these new deacons, we now have 40 permanent deacons in active ministry serving the Archdiocese of Kansas City in Kansas. In addition to serving 30 of our parishes, our deacons are making the church’s presence felt in prisons and jails, hospitals and nursing homes, and, really, anywhere the mercy of God is most needed. We are proud of the growth of the diaconate in the archdiocese, and I’ve frequently heard the archbishop praise our formation program. As I reflect on all this, I truly believe that the growth of the diaconate in our archdiocese is a singular grace of the Holy Spirit. It also reflects the gifts of our archdiocese at this moment in our local church’s history. For example, each month, our deacon candidates receive phenomenal instruction from professors from Benedictine College in Atchison. Very few deacon programs in the United States have a Catholic college within their boundaries with such a cadre of exceptional teachers of the faith. We also have the Kansas City-based School of Faith under the leadership of Mike Scherschligt and Troy Hinkel providing catechetical and spiritual formation for our deacon candidates, complemented by the spiritual assistance of the Apostles of the Interior Life, whose U.S. headquarters happens to be here. The deacon office has received tremendous cooperation from Catholic Charities, prison ministries, hospital chaplaincies and other outreaches within the archdiocese that have taken the time and energy to give our deacon candidates opportunities to “learn the ropes” and expand their ministerial skills. Our men have benefited greatly from the wisdom of pastors and spiritual directors who have generously taken on the additional burden of guiding these men so that they will equipped in every way to serve the people of God. Very few dioceses have facilities comparable to Savior Pastoral Center, either, where our men receive most of their training. 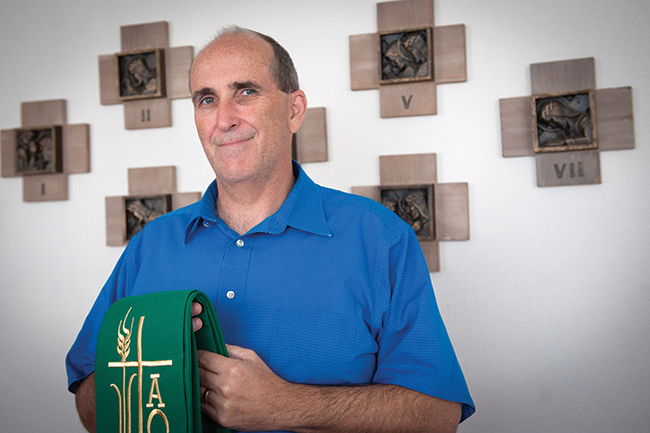 Tim Chik and his staff transform the facilities into a quasi-seminary where the men (and their wives) are able to focus on their human, spiritual, intellectual and pastoral formation in a serene, peaceful setting. The deacons themselves “give back” in beautiful ways to help form their younger brothers in the diaconate. For some — like Deacons Dan Peterson, Tom Mulvenon, Mike Schreck and their spouses — it is part of their formal ministry, as well as a labor of love. I’ve only been able to scratch the surface here, and I cannot begin to acknowledge all the lay, clerical and religious faithful, whose prayers and encouragement undergird our efforts. They say it takes a village to raise a child. I don’t know about that, but I can surely say that it takes an archdiocese to raise a deacon. Thank you!